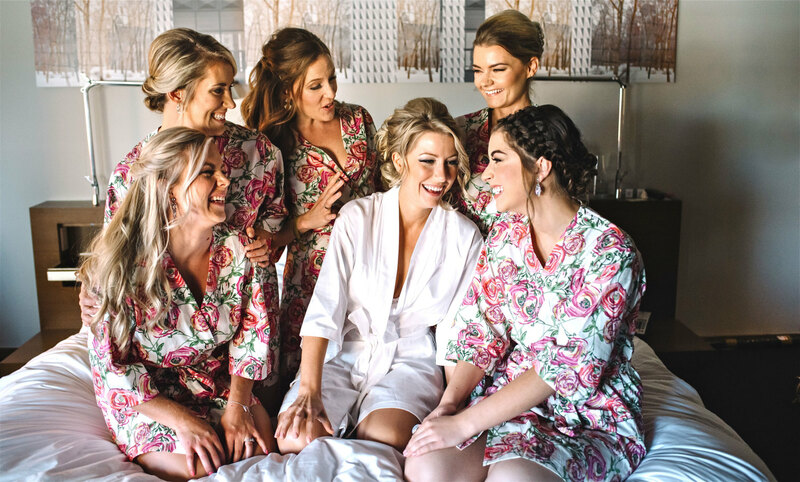 There was something about the floral bridesmaid robe sets (particularly the pink rose one) that inspired me for this inspiring round-up feature. 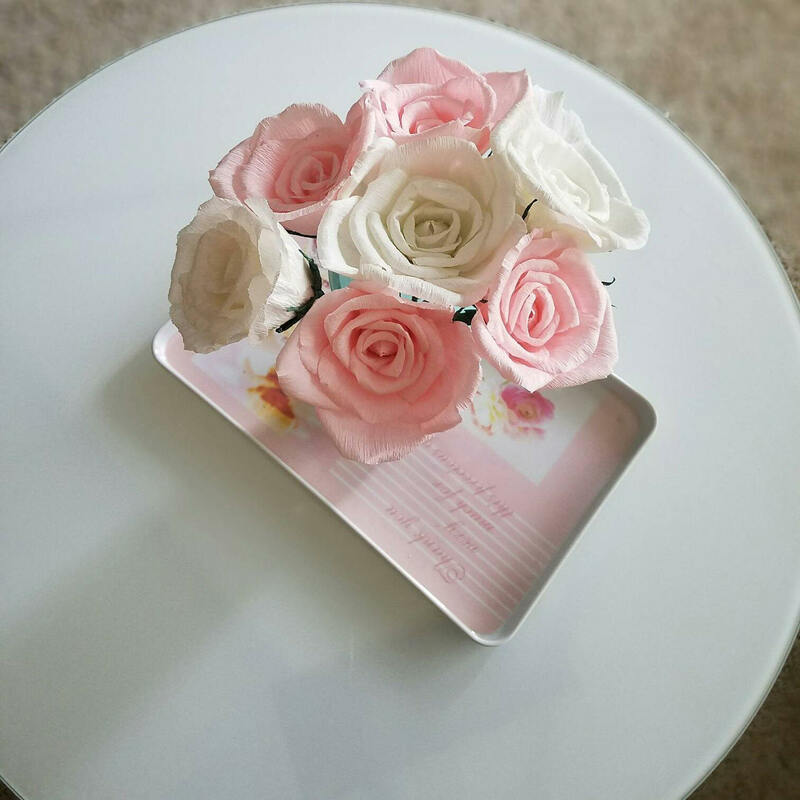 Pink roses. They’re some of the most beautiful flowers, yet overlooked by the popular peony, especially in May and June. 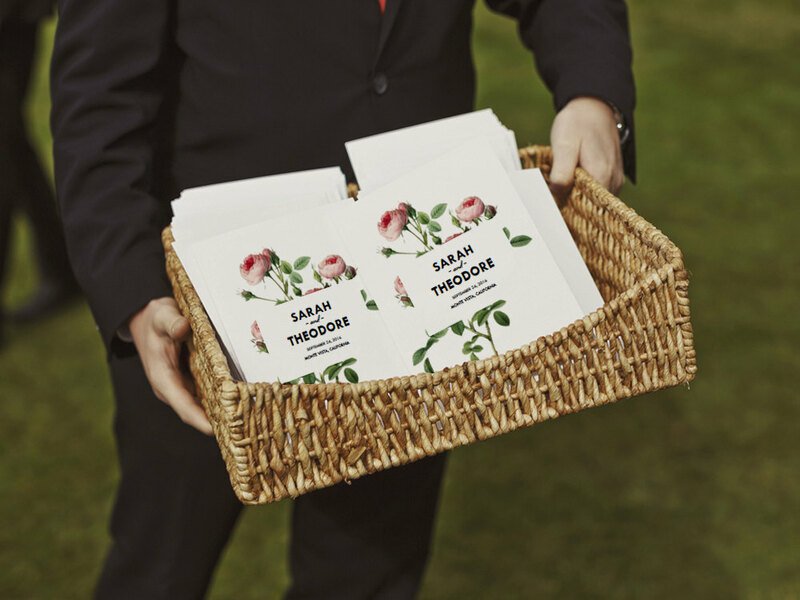 A beautifully garden-inspired wedding could be planned from inspiration of just one flower and today we’re proving it to you. 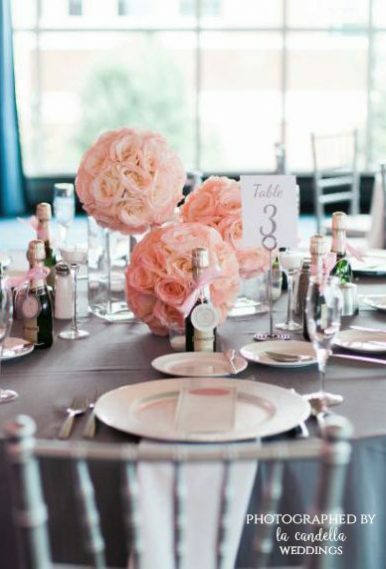 In this board, you’ll find pink rose wedding ideas including paper flowers, invitations, favors, and so much more. What do you think of this inspiration board? 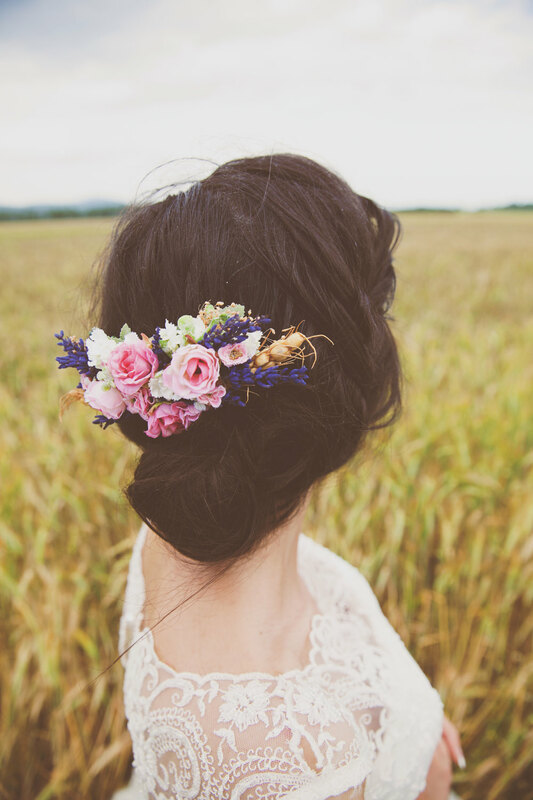 We’re kicking off this beautiful round-up of pink rose wedding ideas with this breathtaking flower crown from Magaela Accessories. 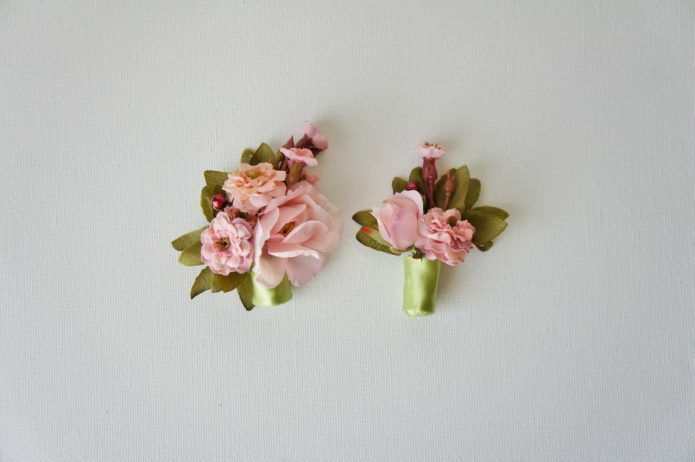 Followed by these beautiful handmade paper roses from Craftworm Creations. Look at the outstanding detail that goes into each one — incredible. 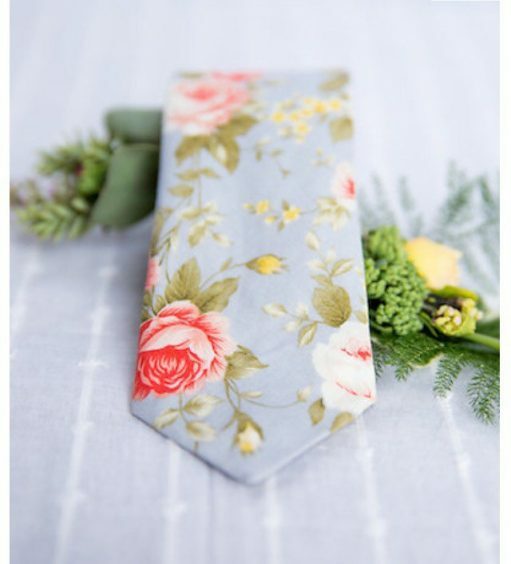 Have the flower girl carry this shabby chic inspired basket (from Wedding Story Design), groomsmen can wear this tie (from Beau Tie), and use these hang tags on your favors or wedding welcome bags (by Jazz Hands Paper Co.). 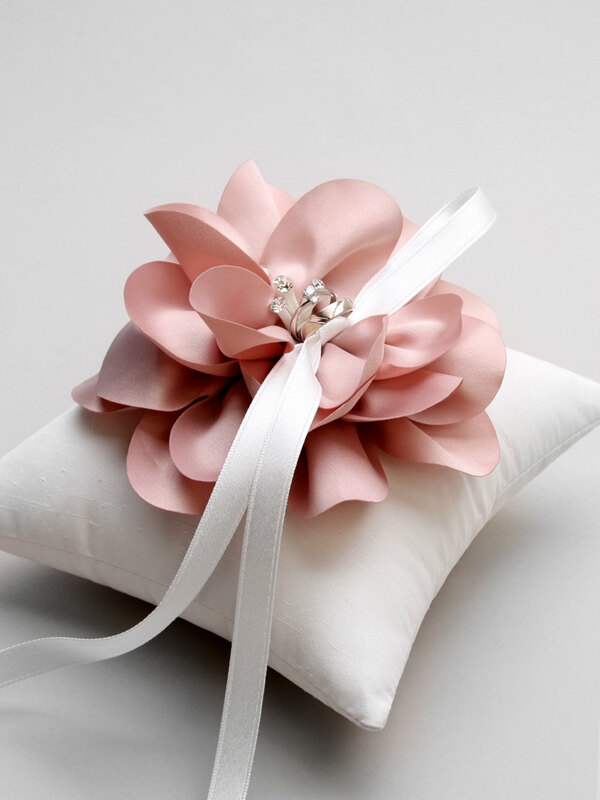 This ring pillow is absolutely stunning. By Louloudimeli. 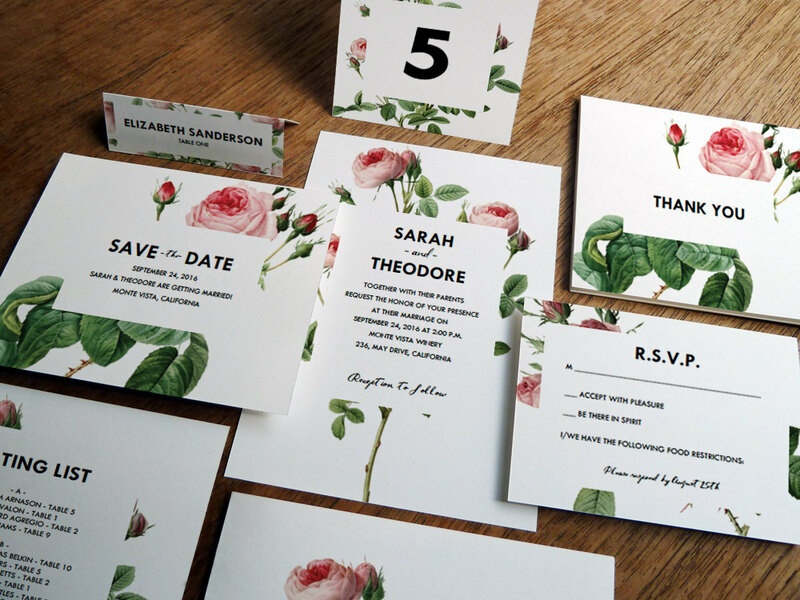 And this entire suite of invitations and coordinating accessories is everything you need for your rose inspired wedding. By e.m. papers. Same goes for these coordinating programs (also by e.m. papers)! 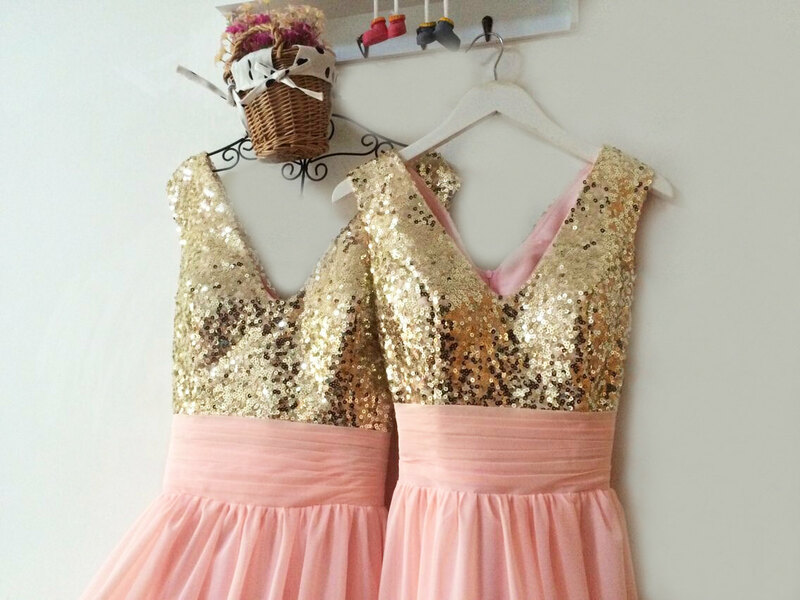 They’re perfect. 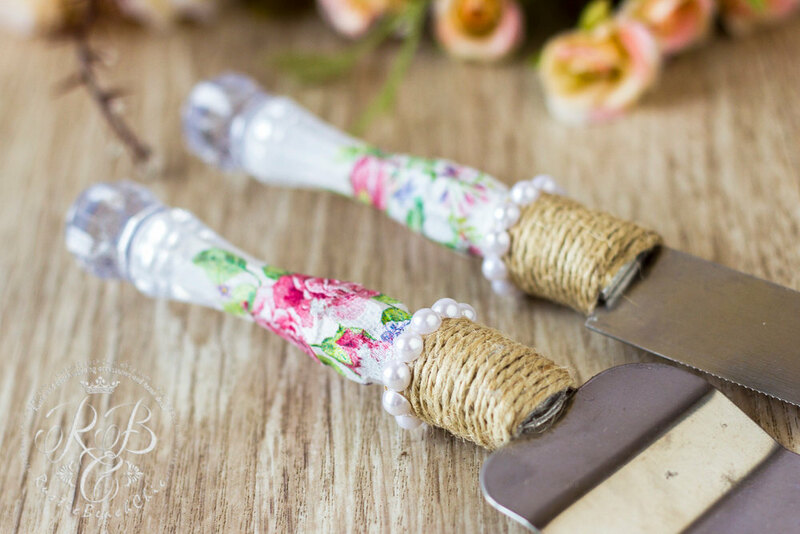 These ribbon wands are the prettiest shade of light pink! 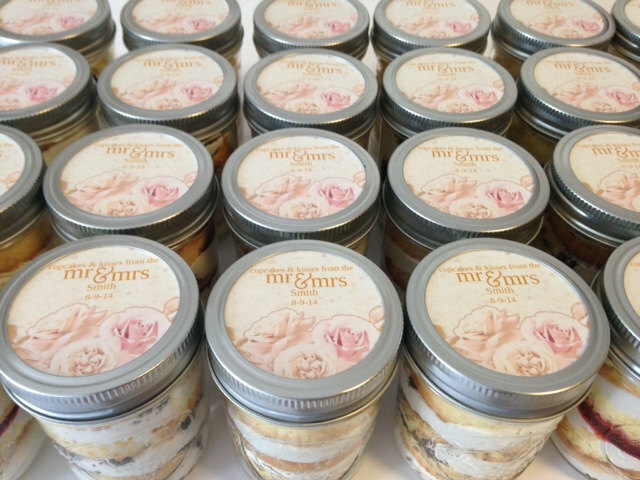 Great for making a ceremony grand exit. 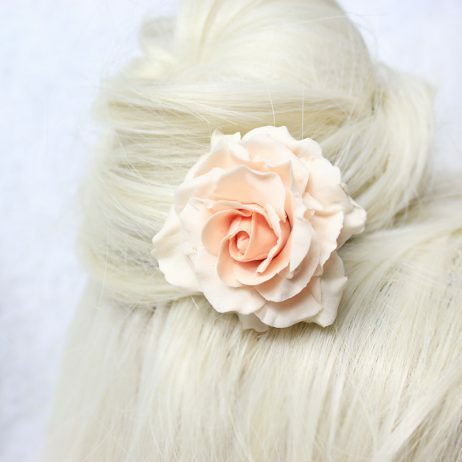 By Divinity Braid. 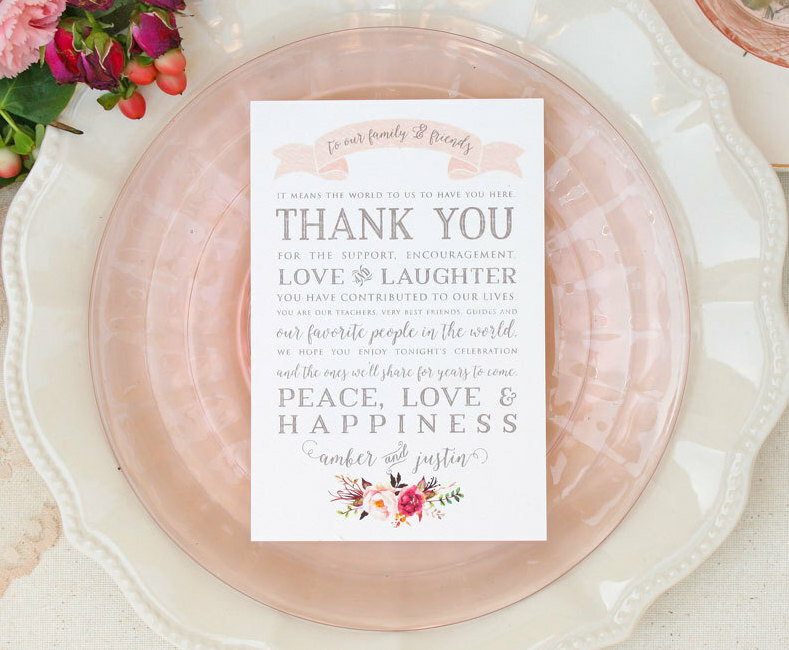 Say thank you to guests at your reception with these cute cards, placed on table settings before the reception begins. 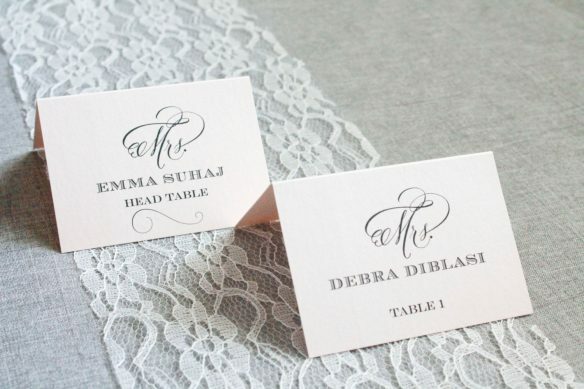 By Tigerlily Invitations. 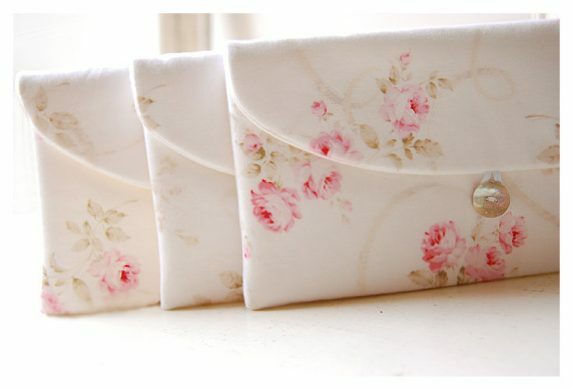 And these gorgeous rose-print bridesmaid robes! A must-have. By Modern Kimono Robes. 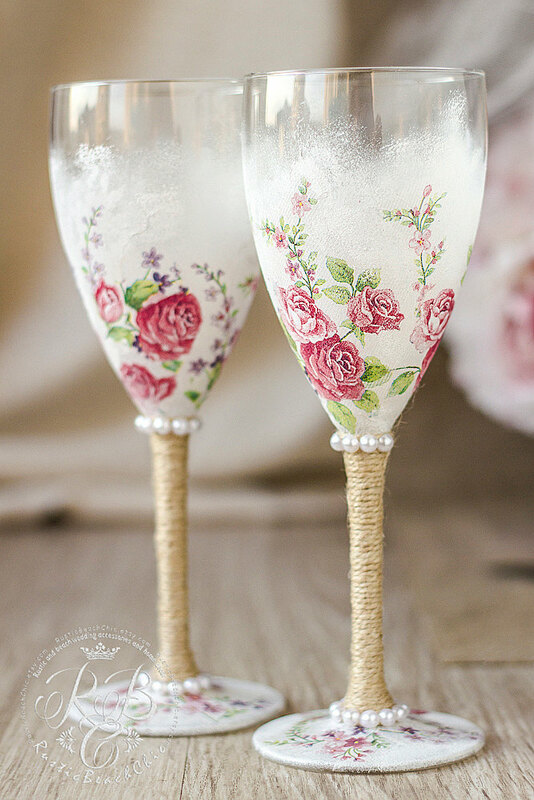 I love these pink rose wedding champagne flutes! 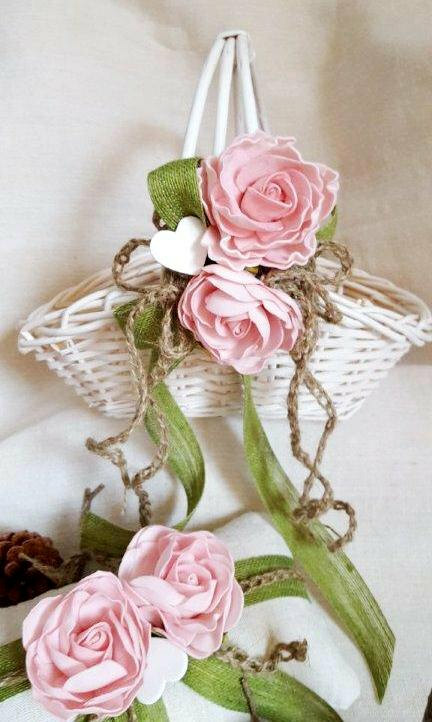 By Rustic Beach Chic. 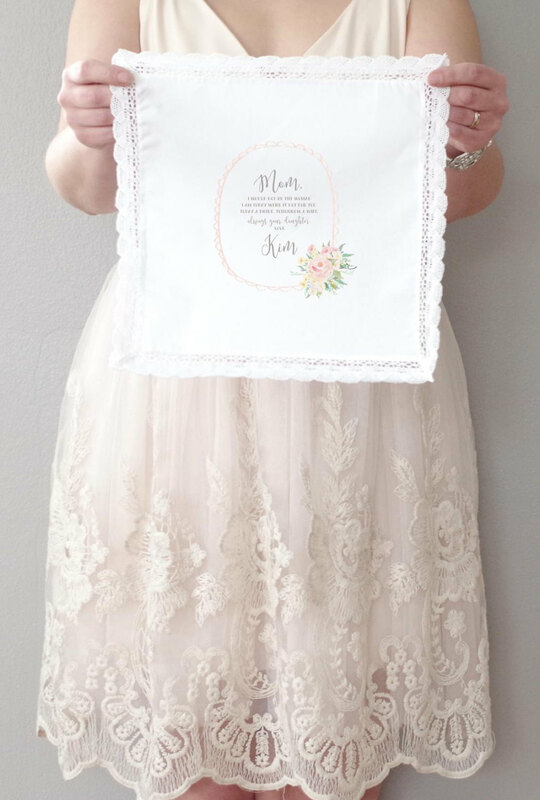 The perfect gift for mom: a custom message printed onto a delicate lace handkerchief. 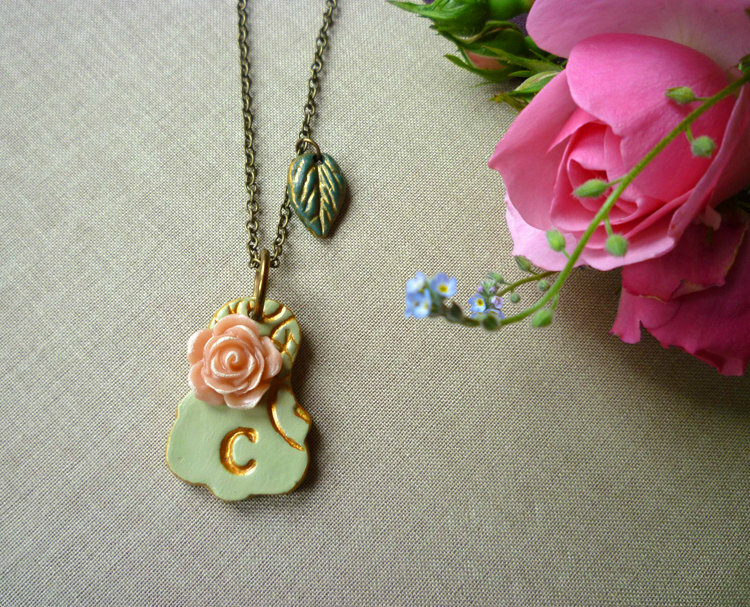 Even better: this one has a pink rose print! By The Polka Dotted Bee. 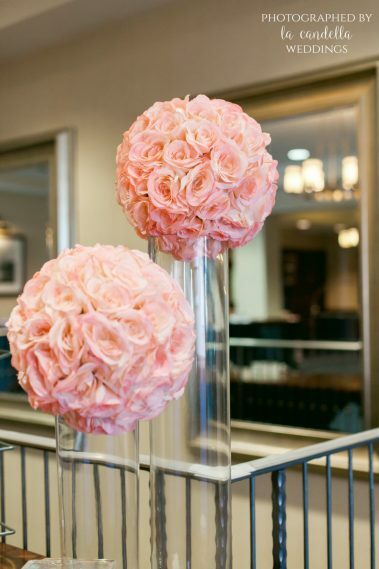 And for some reception decor… check out these rose flower balls by Kimee Kouture. Aren’t they beautiful? 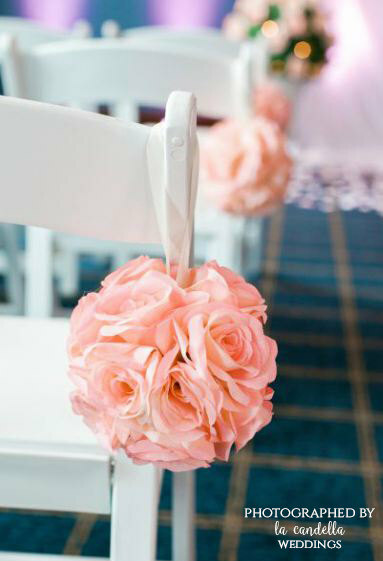 You can use them as ceremony chair decorations down the aisle, reception centerpieces, or tabletop decor. 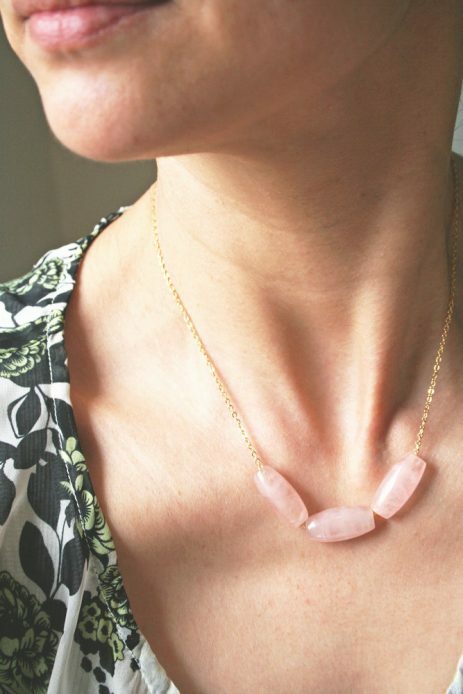 These are adorable necklaces for your bridesmaids. By Palomaria. 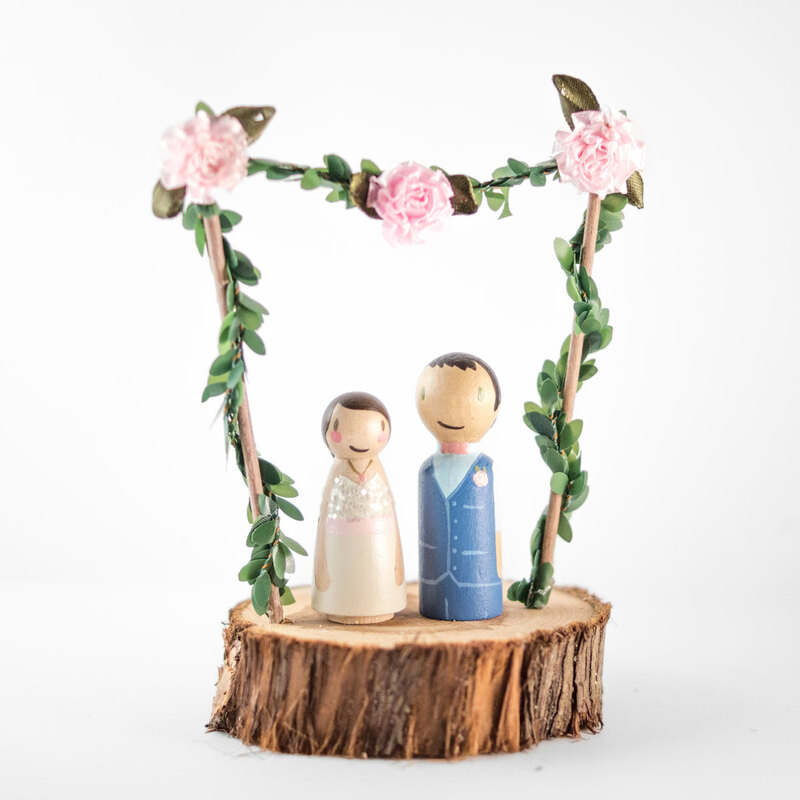 You can’t forget a cake topper like this one. It is one of my absolute favorites! By Lovebirds Goods. 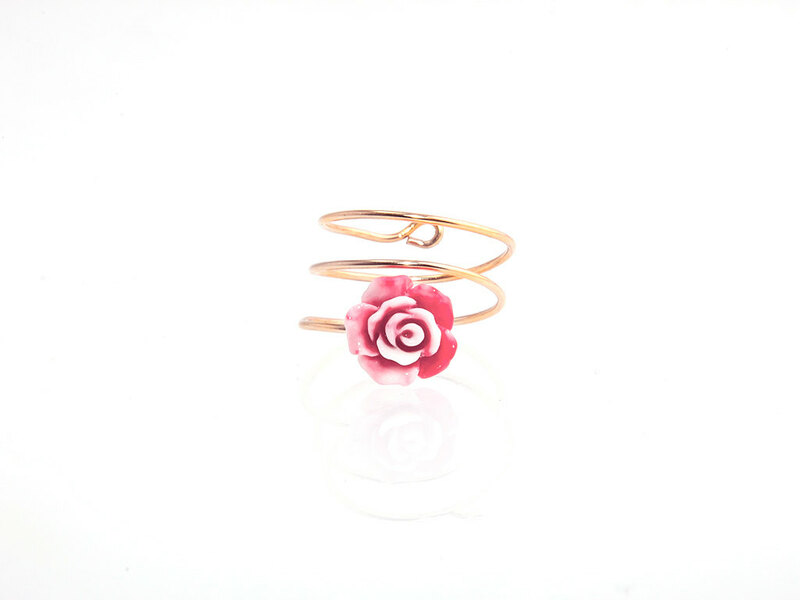 Spotted this cute ring over at Tanya Kovalchuk Jewels and had to include it. It is so pretty. 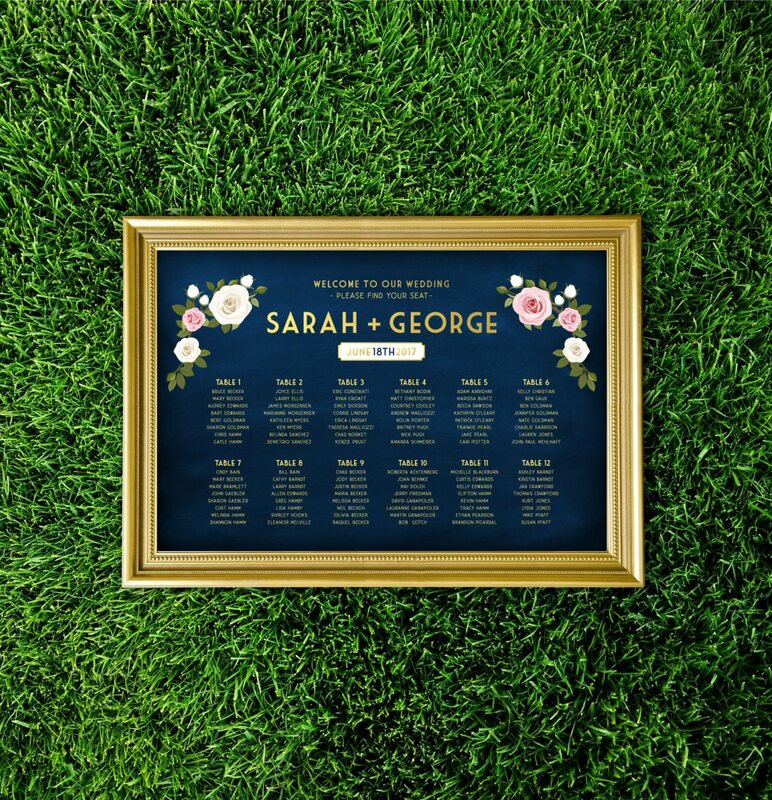 Guests can find their seats with this beautifully-made rose wedding seating chart. 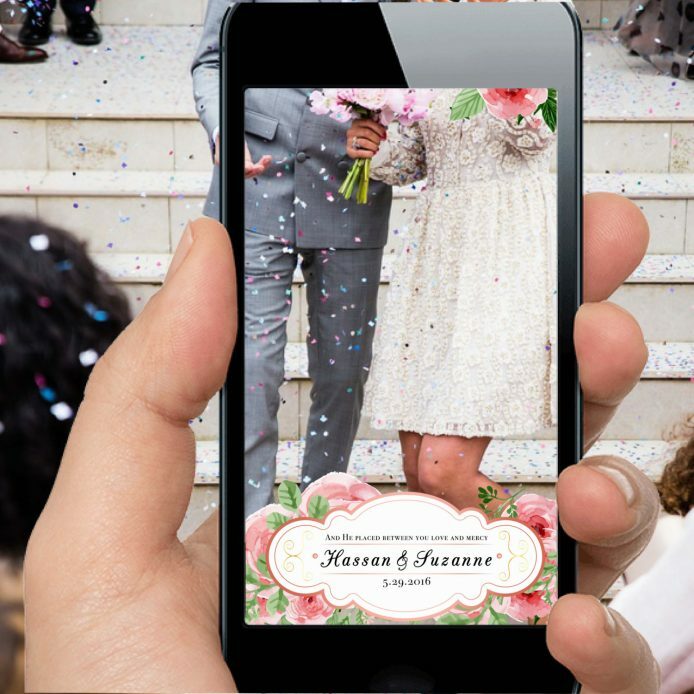 By Buffy Weddings. 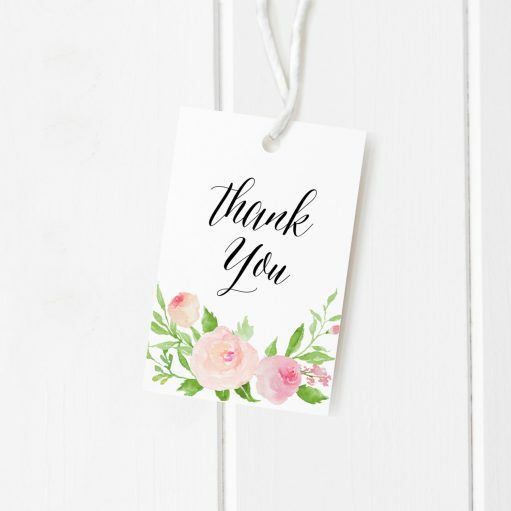 We hope you enjoyed this round-up! 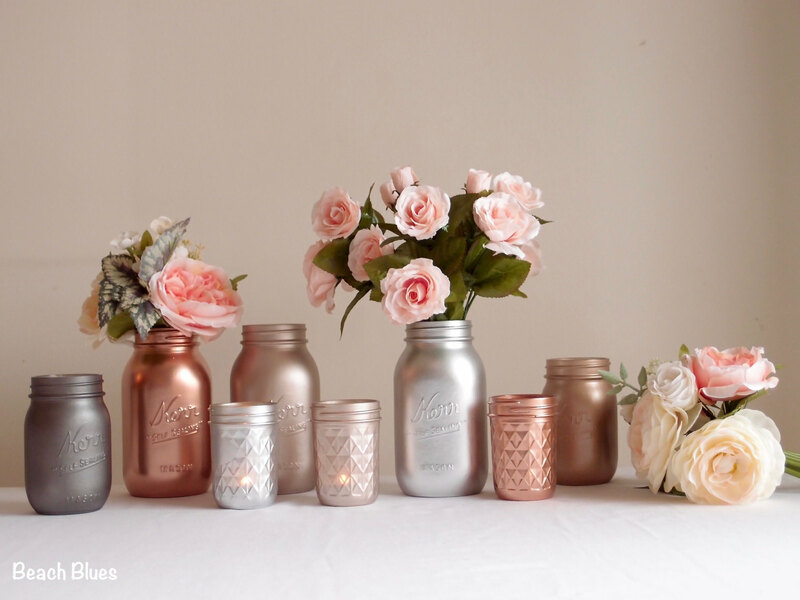 These ideas will work well for nearly any wedding theme, but we’re picturing a garden wedding, shabby chic wedding, or English tea themed shower. Share your thoughts in the comments! Best Friends Getting Hitched! A Grand Bay Engagement Session.